Don't let the long list of ingredients fool you. 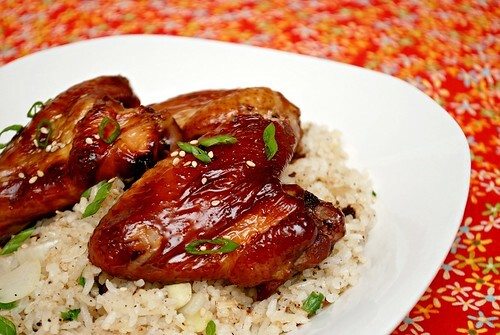 The teriyaki sauce is easy to whisk together for the marinade in which the chicken will sit in. 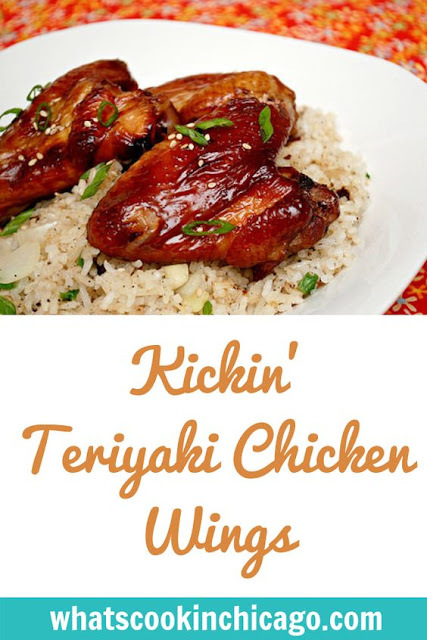 Simply whisk it all up in a bowl, place the marinade into a storage bag, add the chicken wings to coat and let it chill for a couple hours - although I highly recommend marinating overnight so the chicken can fully absorb the color and flavors. By marinating in a bag, you can easily toss and coat the chicken more to ensure every bit absorbs the flavor. When you're ready to bake, its just a matter of baking it in the oven. And if you're lucky enough to still enjoy summer grilling season, these are fantastic on the grill too! In a large bowl, whisk together the water, soy sauce/tamari, sugar, rice wine vinegar, ginger, red pepper, Sriracha, garlic, cornstarch and water until the sugar and cornstarch has dissolved. Transfer marinade to a gallon sized storage bag. Add the chicken wings to the marinade, tossing to coat and seal. Chill chicken in marinade for 2 hours or overnight for better results. Preheat an oven to 350 degrees F; line baking sheet with parchment or foil and spray with cooking spray; set aside. Remove the chicken from the marinade in the bag, and shake off excess. Discard the marinade. Place the chicken onto the prepared baking sheet and bake in the preheated oven until the chicken is cooked and the glaze is evenly browned througout, between 45 minutes to 1 hour. We love wings so much, I have a whole Pinterest board dedicated to them. Added to our list - yum!